WASHINGTON, D.C. — Since last year, the United Food and Commercial Workers Union (UFCW),the largest private sector union in the nation, has actively engaged and reached out to its 1.3 million diverse members about the issues they care about, and the positions they believe the next President of the United States should embody. 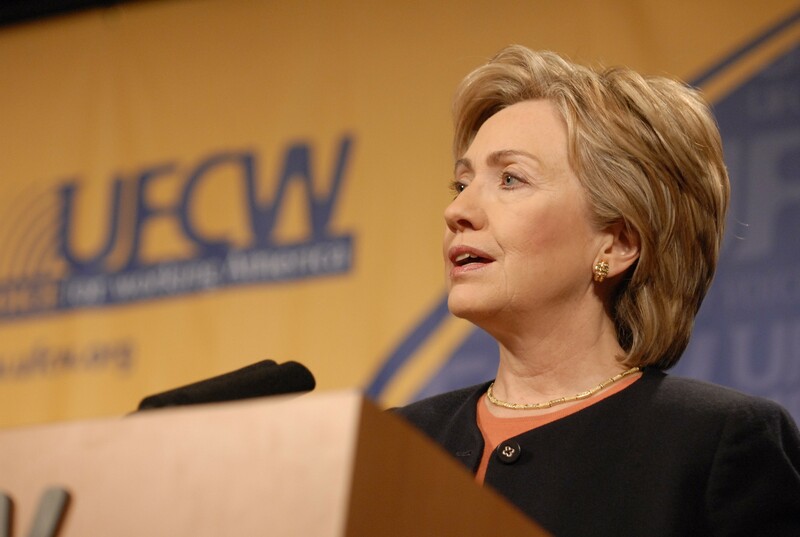 Based on the collective opinion of our members, the UFCW is announcing today its endorsement of Hillary Clinton for President of the United States. Today’s announcement reflects a yearlong commitment made by the UFCW to pursue a thorough presidential endorsement process. As part of this effort, the UFCW conducted a series of nationwide meetings with current members and Local UFCW officers, internal polls of our union members, as well as focus groups with working and middle class non-union families from across the country who currently work or have worked in retail, to determine the issues that matter most to UFCW members and the workers the UFCW fights for every day. Based on these results, as well as additional discussions with UFCW Local Presidents and the UFCW Executive Board, the collective decision was that Hillary Clinton is indeed the best qualified and positioned candidate to win in 2016 and fight for the issues – such as job security, fair scheduling, paid leave, raising wages, immigration and health care reform – that matter most to our diverse union family. Marc Perrone, International President of the UFCW, released the following statement about the endorsement of Hillary Clinton. “For our union family, the 2016 Presidential election is about electing someone who will fight every single day for the issues that matter most to our 1.3 million hard-working members and their families. And, as one of the most diverse unions in the nation, we believe it is critical to select a candidate who is not just ready to be President, but who best understands that the strength of this nation is our unity and diversity. “It is our members’ strong belief that Hillary Clinton is not just the strongest presidential candidate, but the right one. By working together, we believe our incredible members can help Secretary Clinton create the better America that our union family and all middle- and working-class families have earned and deserve. “We announce this endorsement with the full belief that the frustrations felt by the American people are real, and that they deserve an America where better wages and better benefits are enjoyed by all who help make this nation great. “For us, these incredible retail and non-retail workers, who help feed and serve this nation, deserve a president like Hillary Clinton who will fight to make sure that paid leave, stable schedules, and higher wages become more than an election promise – they’ll become a reality. “We would like to thank our members for their input, and are proud to have taken the time to make a thoughtful decision about this presidential endorsement. These decisions are always difficult, especially when we have good and committed candidates who have dedicated their lives to fighting for America’s families. “To Sen. Sanders and Gov. O’Malley, we would like to thank them and acknowledge their passion and commitment to the better America we all believe in. Their voices have made a difference in this race, and we hope they will continue to speak out for the issues that Secretary Clinton and all our families care about.